Organization Science. He has also contributed international management themes to the basic social science literature through chapters in the Annual Review of Psychology, the Communication Yearbook, the Handbook of Industrial and Organizational Psychology, and Research in the Sociology of Organizations. He is an Associate Editor for the Journal of Organizational Behavior, and a Consulting Editor for the Journal of International Business Studies. 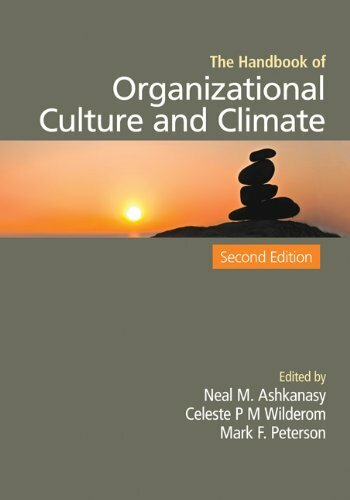 Organizational Culture in a Wider Field: Is There a Post Post-Culture?